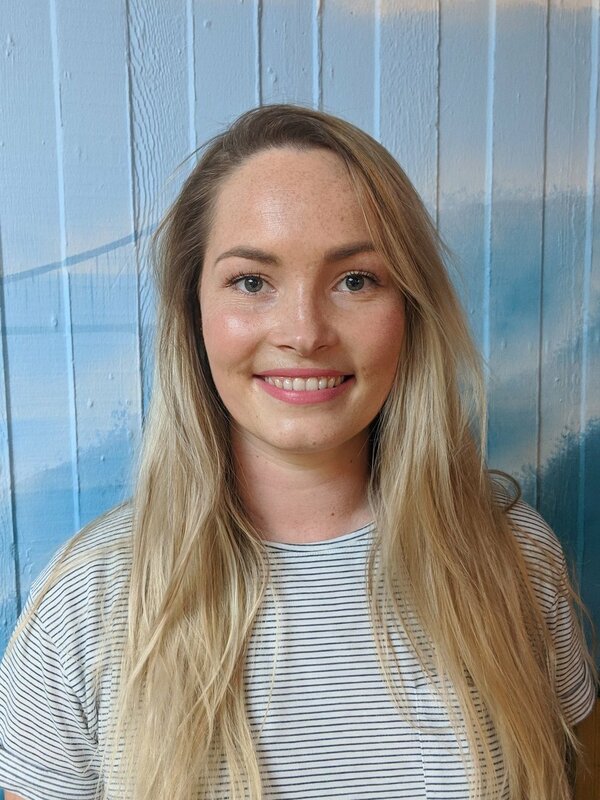 Meet Alice, CEO and founder of Stephenson Law, an alternative law firm who make legal service more human and less corporate. Alice is CrossFit mad and a super mum of three kids! What do Stephenson Law do? We support a range of businesses (from start-ups to large corporates) with their commercial and IT contracts, data protection and intellectual property queries and company/corporate matters. We joined DL in Jan 2018 and were here until the end of March 2018, when we moved into the Natwest accelerator. We then came back to Desklodge at the beginning of Jan 2019 with a team twice the size! My lovely team and clients! I’m so lucky to be able to work with some really great people. I also find it really rewarding to work with business owners to solve their problems and achieve their goals. It’s a fun place to work and completely fits in with our aim to deliver legal services in a non-corporate way. As a small business, it’s also great to be part of a community of like-minded businesses. I’m CrossFit mad and train 3-4 times a week. I’m currently taking part in the CrossFit Open, which is the first stage of the CrossFit Games. I also have 3 children so spend a lot of my spare time managing their social lives. I think I’m still figuring this one out! I wanted to be a doctor for a while, but then I did some work experience in a hospital and that completely put me off. Before that I wanted to be a horse-riding instructor and at one point I wanted to be in the army. That was a terrible idea; I do not like being told what to do! Thanks Alice, good luck with the CrossFit Games! Crowdfunding, not unlike co-working spaces, was once seen as being exclusively in the realm of startups. But just as larger, more established businesses have come to appreciate the advantages of modern co-working spaces, they have also realised that there are many ancillary benefits to be gained from crowdfunding. 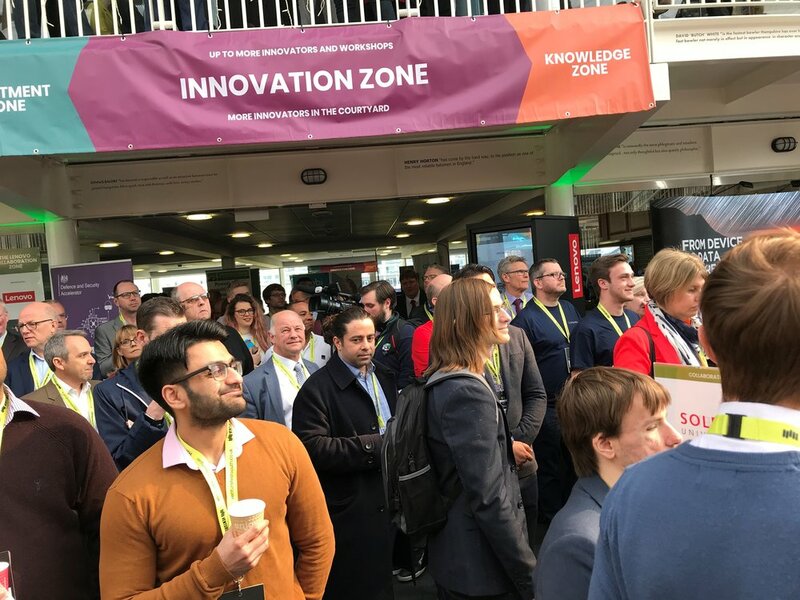 Equity crowdfunding, which allows a multitude of investors, large and small, to own shares in a business, has evolved since it burst onto the UK scene about 8 years ago. Equity crowdfunding platforms have matured and now attract professional and institutional investors as well as the non-professional investors often referred to as “the crowd”. It is not unusual these days to see companies raise larger sums with the backing from angels or venture capitalists, with the crowd providing a top up. Meanwhile, the platforms and the crowd remain a good source of funding for smaller ventures seeking seed investment. So why are both small and larger businesses seeking the support from the crowd? We believe there are two main reasons to consider crowdfunding for your business. Crowdfunding gives your community of customers, suppliers, stakeholders, friends and family a chance to get actively involved with your business. It can help you gauge market readiness, general product appeal and branding concept. Crowdfunding campaigns are also usually accompanied by a fair amount of questions, concerns and complaints which you can use to further develop and improve your product or service. Crowdfunding campaigns are one big marketing exercise and usually come with a good amount of PR which will promote your project and increase visibility of your business online and offline. And of course, giving your customers a stake in your business builds strong brand loyalty, something most companies aspire to nowadays. Is our offering easy to understand? Can you explain what you do simply? If you can’t, you’ll struggle to get the backing of the crowd. How does your brand stand out? Do you have the relevant IP or patents? You need to convey what makes you, you if you want the crowd to take notice. How well do you know your target audience? Do you actually know who you are targeting? What are their biggest challenges and how are you solving those? Being able to pitch at the right level is crucial when trying to convince the crowd. Is this the right time to crowdfund? Crowdfunding success is not down to luck. It is the fruit of hard work. Make sure that you understand the personal and professional demands of this process before launching your campaign. If you have a strong brand and product or service proposition, you know your audience and you have the time and resources to put into a campaign, then crowdfunding is a good option for your business, be it small or big. If you’d like to chat to us more about your crowdfunding ambitions, please come to our crowdfunding clinic at Desklodge House on Wednesday 24th April. It’s free, all you need to do is book a slot and turn up on the day armed with your questions. If you can’t make the 24th, fret not, you can also book a call for a chat. We are going to focus on a series of productivity blog posts over the next few months, with a view to explore different ways we can all become more productive. There are lots of productivity ideas out there and we want to share some of the main points in this easy to read post, for those of us who are always on the go! Humans like lists, they like prompts, we don’t always have time to read a whole book on productivity, we want those instant easy fixes that can be putting into practice right now! It’s surprising how quickly a basic schedule can be pushed aside by sudden deadlines and general life admin, we get it. By making small changes to your schedule you can make things much more productive and stress free in the long run! Do this on a Sunday night – it may be a bit late to do it Monday morning just as you miss your train to that important meeting that ‘weekend You’ had forgotten all about! Is picking up your phone the first thing you do when you wake up? Just checking in on your social media??? You should be checking your diary first!!! Seems simple enough but so many of us neglect this task. Make it a priority. Spill your brain onto a notepad (hard copy or digitally) do this before you start your day, even include answering emails and life admin. Get everything on there and cross stuff off as you achieve them. It gives you a warm glow as you feel like you are getting stuff done! This is different from your daily to-do list but can include simple daily chores to life goals. You’ll be amazed what you can get done whilst following a list and you may even be surprised with the things you pop on it. Get inspired! You can do it! Whether we like to admit it or not, even the most spontaneous among us, like to have some routine to our day. Whether it’s starting work at the same time or planning what you are going to wear the night before, little things can help take your mind away from stressing over insignificant worries and keeping your brain alert and active. If you have a busy day scheduled in, don’t add in even more activities, can it wait just one more day? Most often than not, it can. Keep focused on your daily tasks, safe in the knowledge that tomorrow is another day to work on all those things that are on your to do list. Be kind to yourself! Seriously! Take a break! If you are getting tired, stressed or becoming unmotivated it is definitely time for a break. It will not mess with your productivity, it will help your well being. Are you one of those people who never leaves the office?? Get yourself outside for some fresh air and find out what’s happening in the world! A walk through a park, by some water or even a 5 minute brisk walk around your area will clear the cobwebs and get your brain ticking again! Plus, walking is a brilliant way to get some exercise! It’s a win win! Listening to music is good for the soul. If you are feeling stressed or down or need some motivation, listening to your favourite tunes will rejuvenate you. Music is also very relaxing, think of parents singing their children to sleep, they are on to something! Same with books, find a quiet corner, settle in and read a couple of chapters of your book or listen to an audio book. Again, having a book read to you as a little kid made you feel inspired and relaxed! All great for removing you from your worries and stresses for a moment and inspiring you to go get ‘em! 9. Stop to eat your lunch! Put that Sainsbury’s meal deal down and step away from the laptop! Take time and actually take a lunch break. Find a space to eat and actually look at what you are eating - Food feeds the brain but not if you don’t even remember eating it! Recharge your batteries and don’t forget that regular glass of water too! 10. Talk to other humans! The word coworking already gives out the impression that there will be other people around you. In our spaces there are so many areas that allow you to move around and meet other coworkers on your travels. The best way to meet new people is to go talk to them. Why not eat your lunch with other people? We want to spread that community vibe here at DeskLodge and welcome everyone to join our family! Talking to others is an escapism from all that work that has been stressing you out! You might even meet someone who can help you with that work-related problem you’ve have been stuck on for the past hour! People are also incredibly funny, they tell stories and take you to another place, even for a moment, and sometimes that’s all you need to get you out of that productivity rut and pushes you on to achieving those goals! 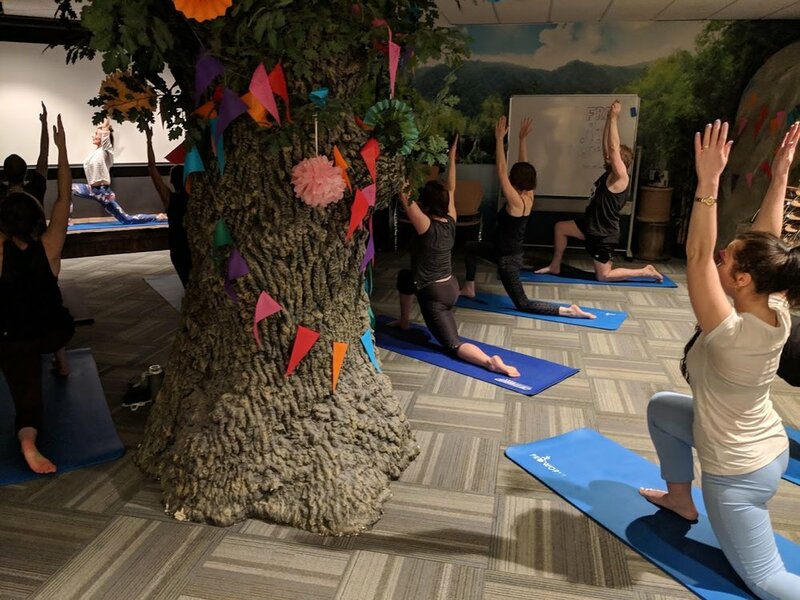 It was inspiring to see many DeskLodgers join us in the Oak Tree space at DeskLodge Old Market to help us celebrate our second annual International Women’s Day event. 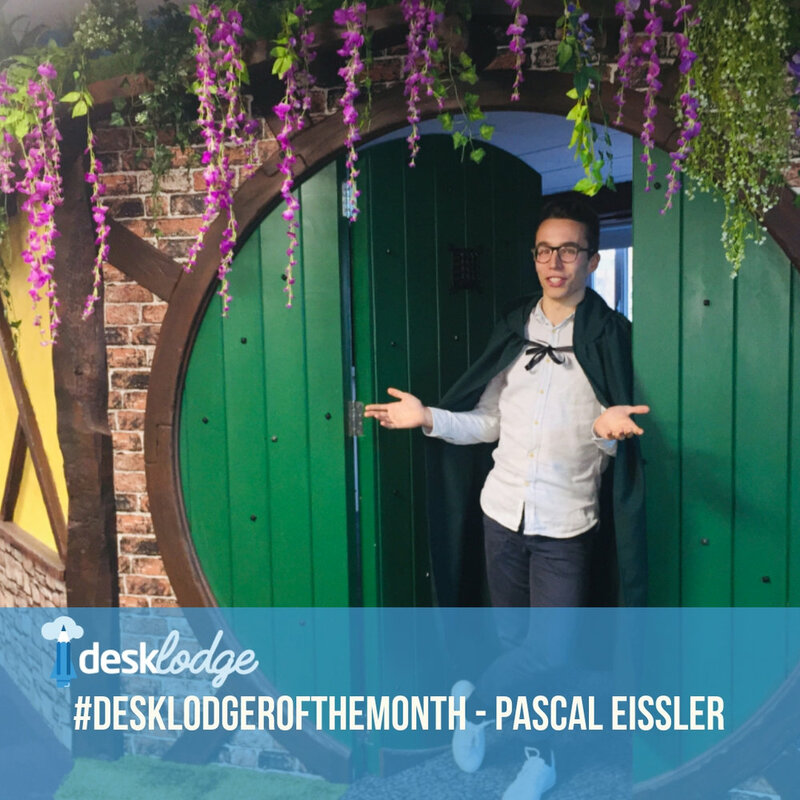 This year’s #BalanceforBetter theme, focused on equality, so we decided the best way to interpret that was to invite everyone from our DeskLodge community, including all of our male Desklodgers, to celebrate with us. We shared drinks and conversations on how men are supporting and understanding IWD without judgement whilst celebrating being a woman, encouraging positive chats with fellow DeskLodgers over prosecco, beers and cakes! DeskLodger and Adventurer Fiona Quinn, joined us and gave an inspiring talk on how she has taken herself right out of her comfort zone and starting adventuring. From paddle boarding to Lands End to John O’Groats to cycling across Europe (with three World Records under her belt) Fiona inspired us all to believe in ourselves, that we can do anything we put our minds to. The second most amazing thing about Fiona’s adventures and challenges is that she does them alone! A strong, courageous woman facing her fears, conquering her goals and smashing it in life! Amazing! Fiona told us that she preferred taking on adventures on her own, as there are no restrictions and you don’t have to work to anybody else’s routine but yours. You can never fail because its your challenge so if you want to bring the challenge to an end early you can! Creating realistic goals for herself, Fiona learns from her mistakes and self-motivates herself to try harder next time, without putting pressure on herself. A very honest and practical view on life that we can all apply to everything we do! Fiona also run the Adventure Book Club where she helps motivate and encourages others to start their own adventures. We have so many fantastic women at DeskLodge and Fiona is an inspiration to us all, sharing the positive message that we all got this! You Go Girl! We love talking and engaging with our DeskLodgers and community on daily basis. We have some amazing teams and individuals who from from our spaces and we wanted to learn some more about them. With that in mind we wanted to shine a spotlight on why one of our teams would choose a coworking space as a base for their business and how coworking works for them. 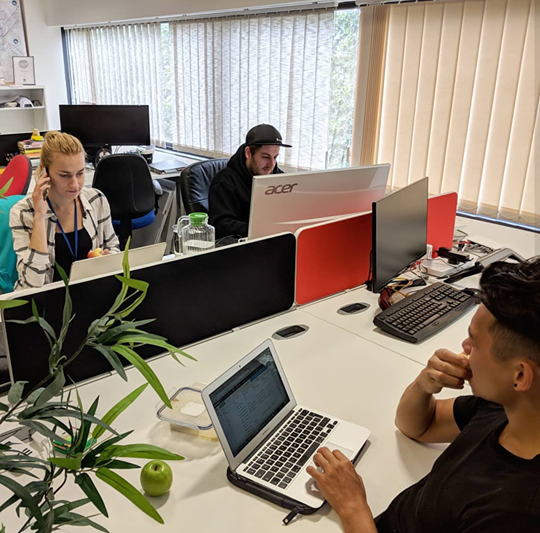 We spoke with resident DeskLodgers Sapphire Technologies from our Basingstoke work space, who share their experiences as a growing company who have been able to organically expand within our space. How long have you been at DeskLodge Basingstoke ? We moved in a week before Easter 2018, so have been here for just under a year. We first took an office space in the New York area and have since expanded into Route 66 on the second floor. Why did you choose DeskLodge and a coworking environment? As a growing cyber security company, we needed a regional office that gave us a fixed desk environment that we could expand into quickly. Desklodge gives us great flexibility with our own secured area, lots of meeting space for all our visitors and co-working for when we need more space quickly. The Co working environment also gives us a social element that can sometimes be missed in smaller offices. 3) How has DeskLodge helped your business improve productivity and any other pains you’ve had as a business? We have plenty of customer and partner visitors so having a good selection of meeting rooms is vital for us. It’s a great environment to work in and our team has definitely increased collaborative working. We have strong growth plans and having office capacity to expand quickly is very useful for us. 4) What do you enjoy the most about working at DeskLodge Basingstoke ? I love seeing people’s faces when they first come in and see the space. It’s a really good mix of a professional working environment but one that isn’t too serious. It’s great that we can enjoy our workplace. Sapphire was established in 1996 and has a nationwide presence across the UK. Throughout our 22-year history we have provided dedicated data assurance services and best of breed security solutions to thousands of public and private sector clients. We enable our customers to protect their infrastructures, assets, data and users against current and emerging threats. As the founders of the National Information Security Conference (NISC), now in its 20th year, we also deliver events that focus on promoting security awareness, sharing the latest trends in defence and attack, as well as a wealth of IT security experiences from our customers and partners. Working in partnership with our clients is important to us and we offer an extensive range of services & solutions to meet the security challenges businesses face today. We consider our most important asset to be our people and always encourage our customers to meet us. We think you’ll like what they have to say and if you’d like to know more please give us a call – we’d be delighted to hear from you. Thanks to Stuart Wright from Sapphire Technologies for letting us find out more on the business. We wish them all the best as they continue their journey. Loot is a FinTech start-up that offers a digital current account for students and young people across the UK. We offer a prepaid MasterCard® debit card that is linked to our app, built with personalised money management tools, so young people can know more about their spending and do more with their money. We’re primarily aimed at the 18-25 to year old market, but anyone can benefit from what Loot has on offer. Two weeks! We’re still getting settled but looking forward to making this our home! How do you use our space? We have our own private office, split between two departments; tech and customer operations. The Bristol office will be our second location in the UK. 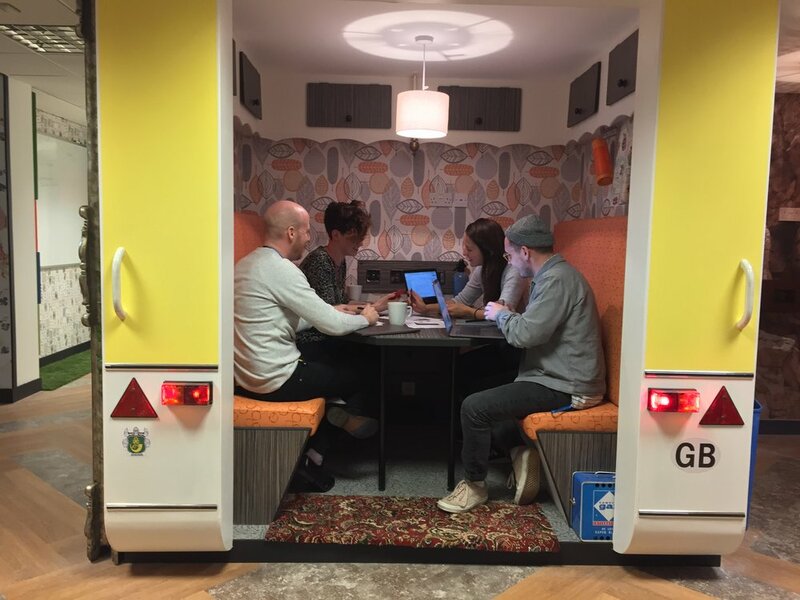 We chose DeskLodge because of its fun, creative vibe which aligns nicely with our company culture. A key selling point for us was having the flexibility to expand within DeskLodge as we scale our team. How does it work for you and are there any successes? It’s early days, but our experience has been great so far! We have felt really welcomed by the team. We’re looking forward to meeting other business and people along the way. Thanks Liam - We are proud to welcome you to the DeskLodge family! When you mention that you are one of the many people who have made the move from London to Bristol, you get two responses. From fellow Londoners, it’s the ‘how great is Bristol life? !’ and ‘Oh Bristol has everything London has, it’s just more contained and you don’t have to travel for 45 mins on a busy tube talking to an armpit’. From the Bristolians, you get the impression they’ve known all along that they live in one of the best cities in the UK and you get a kind of look that says ‘Another London type whose just realised there is life outside of the capital!’. And you can see the draw. A better life work balance, a shorter commute, a friendly community, festivals and scenic countryside all on your doorstep. I was one of those people who said they would NEVER (I really emphasised this) leave London. A big city person through and through. Then I found Bristol and I had to admit I was stuck up and wrong to think I could possibly get bored in a smaller place with so much to offer. But what it is about Bristol? We value community! That’s the number one thing that I love about my new home. Bristol is thriving with innovative start-ups, community projects and a greater emphasis on wellbeing. We pride ourselves on our independent restaurants and bars and it is not expensive to enjoy our thriving culture scene. People are just friendlier and we place greater emphasize on the value of smaller businesses. People also talk about their success and want to help others achieve. The environment we work in makes a huge difference to our daily lives and having worked in the flexible office space market in both cities, I have felt a growing importance of culture. Bristol is great because our spaces really have to have their own identity so people are clear on what’s on offer. In a smaller city, we have to differentiate ourselves. I’m not saying it’s not competitive, Bristol is just more collaborative. What’s important is that we are clear on our own brand so that our culture is the right fit for those organizations we hope to support. Ultimately, this means the community as a whole thrives and people value the place that they work because it is right for them. So let’s collaborate, let’s talk about company culture, let’s work in supportive environments and meet new faces…let’s not mention house prices (we won’t go there).